How many bangers can you ingest in one minute? Sausage fans, here’s a date to mark in your diary: Saturday October 15 at noon. 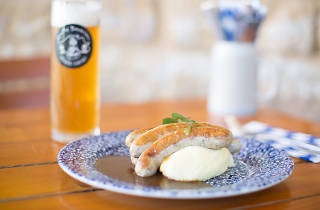 That’s when the Munich Brauhaus annual Sausage Eating Contest returns, with lovers of the sausage facing off for the glory and a $500 bar tab. That buys a lot of beer (and sausages). At each venue, 18 challengers over three heats will have just one minute to eat as many sausies as they can. 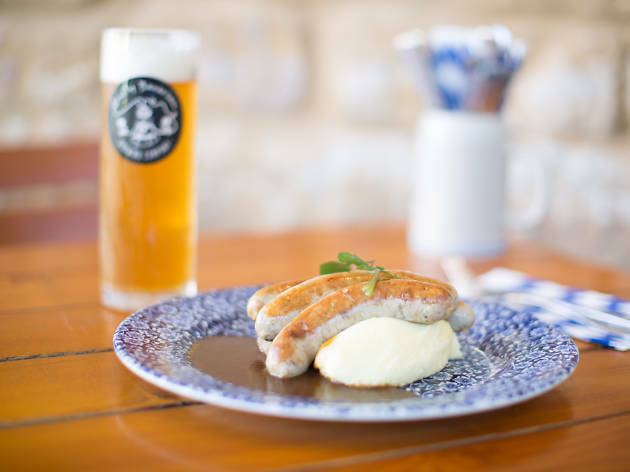 And not just any bangers: these are from the Bavarian’s Haus-Made Haute-Sausage range and include Pimenton Bratwurst, Cheese Kransky, Chicken Cacciatore and Wagyu Chilli Beef. The haus record is eight whole sausages in a minute, won by a ravenous New Zealander back in 2011. Five years later, is the record book about to be rewritten? And here’s the kicker. If the winner of the contest also smashes the world record, they’ll take home a $1,000 dining voucher. The big contest is taking place simultaneously the Munich Brauhaus in South Wharf. To enter, register online at Munich Brauhaus.